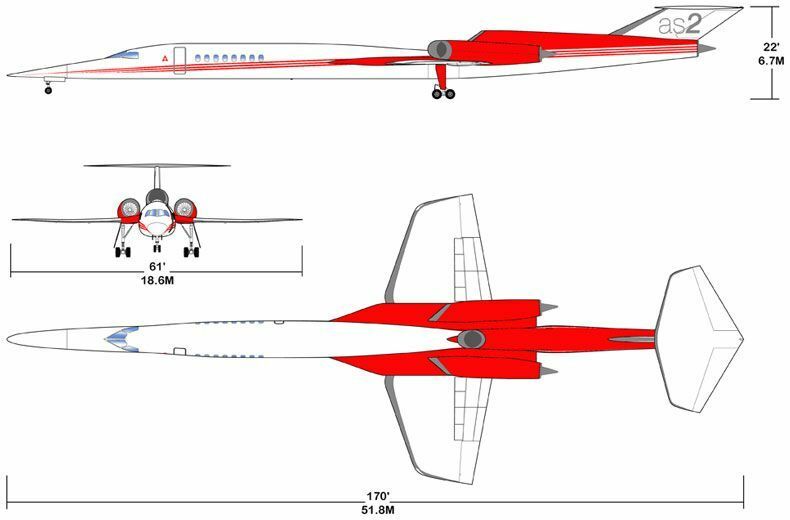 Boeing has made a “significant investment” in supersonic business-jet developer Aerion to accelerate development of its Mach 1.4 AS2. Terms of the deal have not been disclosed. Boeing will provide engineering, manufacturing and flight test resources, as well as “strategic vertical content,” to bring the 12-passenger AS2 to market, the company said in a statement Feb. 5. The content is not specified, but involves “capabilities from our vertical business,” the company said. Boeing has verticals in avionics, actuation, auxiliary power units, landing gear, analytics and other areas. The investment has been made through Boeing NeXt, the business unit formed in July 2018 to bring together company research and development efforts in future urban, regional and global mobility. 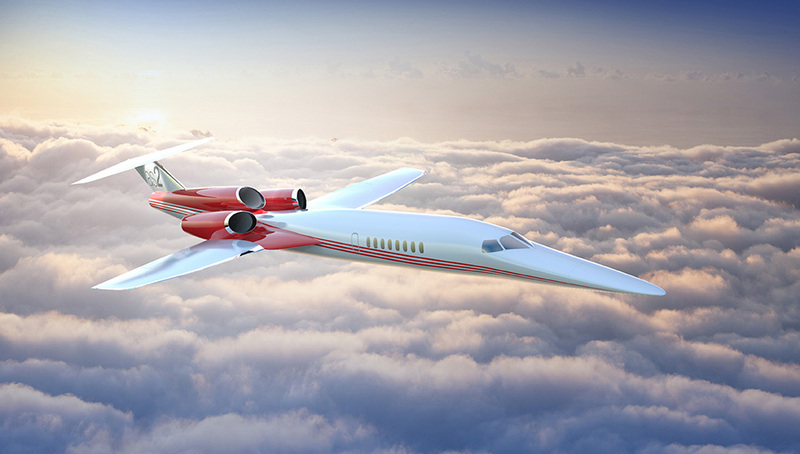 “Through this partnership that combines Aerion’s supersonic expertise with Boeing’s global industrial scale and commercial aviation experience, we have the right team to build the future of sustainable supersonic flight,” NeXt VP and general manager Steve Nordlund said in a statement. The AS2 is planned to fly in 2023 and enter service in 2025. Reno, Nevada-based Aerion was formed in 2003 and introduced the AS2 in 2014. In December 2017, Lockheed Martin signed an MOU under which its Skunk Works assisted Aerion with preliminary design of the AS2. But Lockheed is no longer involved. “We have moved on from [that] relationship,” Aerion confirms. Preliminary design is scheduled to be completed in 2020. In October 2018, General Electric unveiled its Affinity engine for the AS2. This 18,000-lb.-thrust turbofan is designed to enable the trijet to meet Stage 5 noise limits. The Affinity is based on the core of the commercial CFM56 with a two-stage medium-bypass fan for supersonic performance. Through NeXt, Boeing is also working in urban air mobility—subsidiary Aurora Flight Sciences flew its electric vertical-takeoff-and-landing (eVTOL) air taxi prototype in January. NeXt is also working on regional air transport through Boeing’s investment in hybrid-electric aircraft startup Zunum Aero. Boeing has also unveiled longer-term plans to develop a hypersonic commercial transport. The AS2 is intended to fly at a speed of Mach 1.5, using supersonic laminar flow technology; the wing is designed to allow for lower fuel consumption and increased travel ranges by reducing aerodynamic drag by 20%. The cabin is designed to accommodate up to 12 passengers. NASA has issued a contract to model supersonic boom on ground. New noise regulations coming in 2020 caused Aerion to change the design from two to three engines. Noise regulations will limit it at 54,400 kg (120,000 lb) which will limit range. The AS2 will not incorporate the technology from the Low Boom Flight Demonstrator built by Lockheed’s Skunk Works as it would have to be included from the start, but a following AS3 may. In November 2015, Flexjet confirmed that they had placed a firm order valued at $2.4 billion for twenty Aerion AS2s, with delivery to begin in 2023. 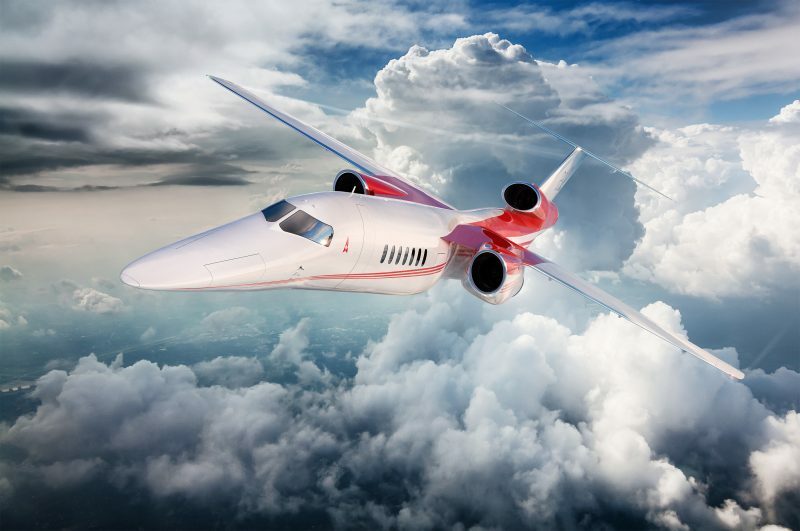 Flexjet CEO Kenn Ricci said the company would use the supersonic jet for overseas flights and also in China, which does not have restrictions on sonic booms. Ricci noted that, with the aircraft traveling at Mach 1.2, its boom would not reach the ground, possibly allowing regulators to permit supersonic flight over land. Flexjet, owned by Directional Aviation Capital, offers customers fractional ownership of aircraft, rather than outright purchase. This entry was posted in News and tagged Aerion, AS2, Boeing, business, Jet, supersonic. Bookmark the permalink.